For those that are into Lao art and handicrafts, this is for you. 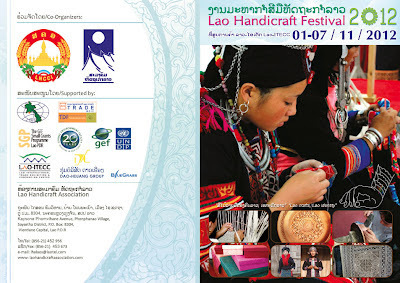 On Nov 1-7 2012, the annual Lao Handicraft Festival 2012 will take place at Lao-ITECC. It will include an array of sellers and producers, demonstrations, workshops, contests, and fashion shows. It's free to get in. It's a fun event that brings together many of the sellers and producers from across Laos under one roof. You can buy stuff while you're there too or make business contacts or you can just browse around.